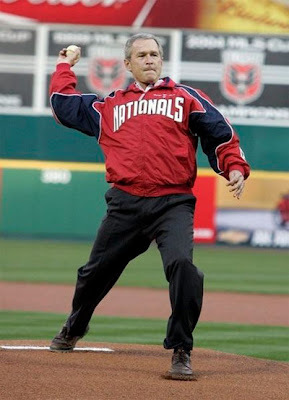 So President Barack Obama is going to throw out the first pitch at tonight's Major League Baseball All-Star Game, being broadcast on Fox Sports. 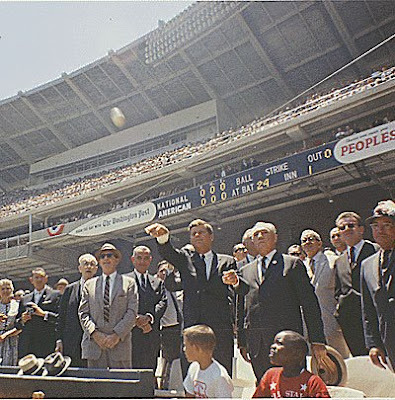 He will not be the first, and he will not be the last. 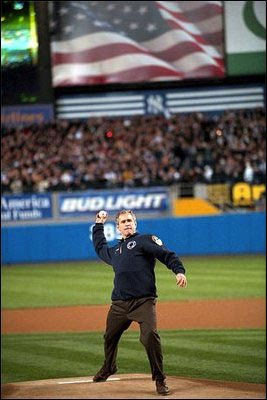 Here are some photos of some Presidential first pitches over the years. 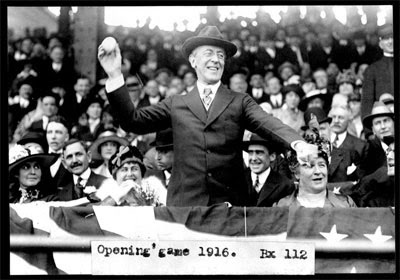 out the first pitch for the 1916 season opener. 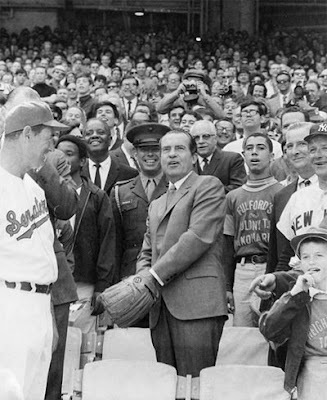 April 7, 1969: President Richard Nixon tossing out baseball, at Washington Senators' opening game with New York in Washington, D.C.
Yankee Stadium Oct. 30, 2001. White House Photo.